The picturesque landscapes in the county of Dorset are a stunning example of the idyllic English countryside, a place urban dwellers long to be. It is here, on the Earl of Shaftesbury’s estate, that British photographer Justin Barton took these breath-taking panoramas. 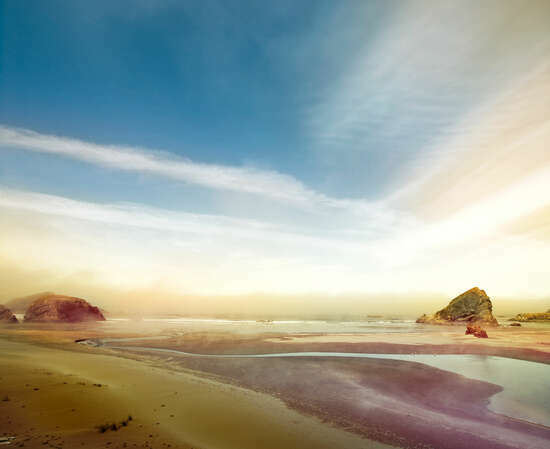 His atmospheric images capture the emotional effect of the scenery. “Shooting Party on Lord Shaftersbury’s Estate” is classically composed, reminiscent of the painters of the 19th century. The sun pierces through grey clouds onto a golden brown corn field. Stark contrasts between light and shadow lend the hunting scene an extra sense of drama. 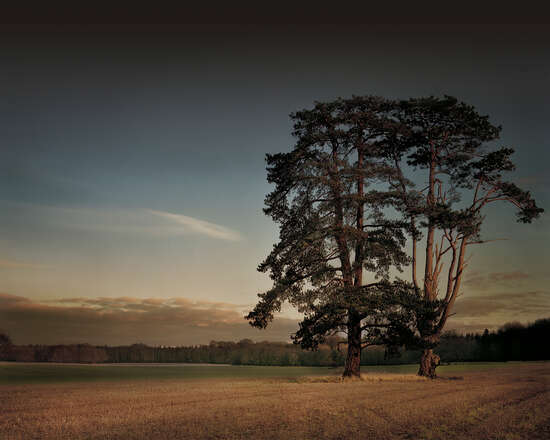 The shots of the natural surroundings are no less captivating, from the isolated group of trees stand majestic in the winter landscape of St. Giles Park to the morning mist rising over the hilly fields of the Glebe House Estate. 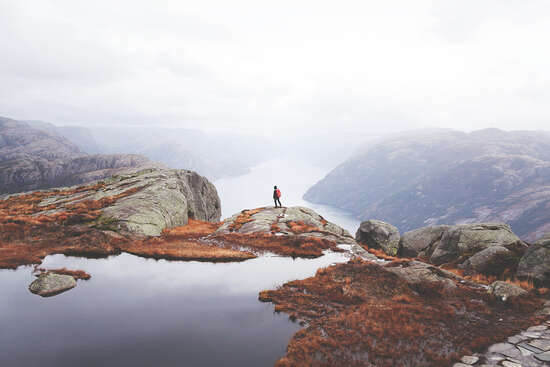 We can almost feel the fresh, dewy air in our lungs. 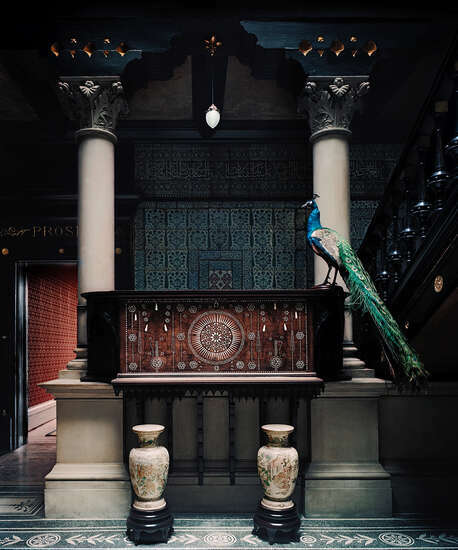 In the staircase hall of historic Leighton House in West London, Barton offers a glimpse into one of England’s finest Victorian interiors. The opulent, Middle Eastern style reflects the colonial history of the 19th century. The house of artist Frederic Lord Leighton, now a museum, is a protected landmark. Based in London, Justin Barton uses photography to explore history and identity. 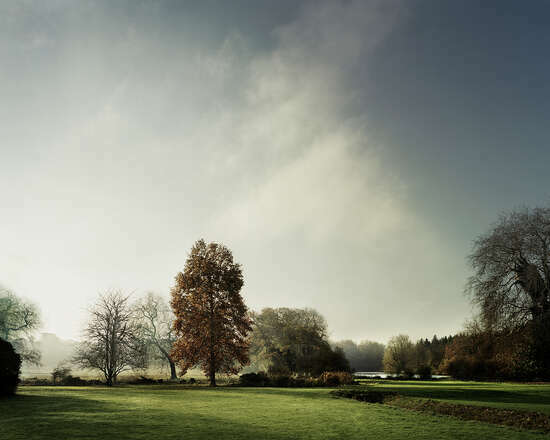 In particular, he is fascinated by the English tradition of landscaped parks and garden art, both of which are documented quite beautifully in his atmospheric and artfully composed images. Justin Barton was born in the 1970s and lives and works in London. His photography has been recognized with multiple awards, including International Photography Awards in 2010, 2011, and 2015, and award at the Belfast Photo Festival. He has also taken part in numerous international exhibitions, including the 2013 Copenhagen Photo Festival and as part of a residency at the Museum Villa Stuck in Munich.